I don’t really care for Halloween. Mind you – I said Halloween, not Samhain. All Hallow’s Eve continues to be one of my favorite Sabbats. I do look forward to and enjoy the rituals that honor this time of the year. But the trick-or-treating? The costumes? The crazy decorations? <shrug> Meh. I don’t really go for that stuff and I don’t really participate in it. I haven’t handed out candy bars for years. I usually make it a point not to be home on October 31st, or at the very least I turn off all the lights and hide away where I can’t be disturbed and don’t bother with the door. 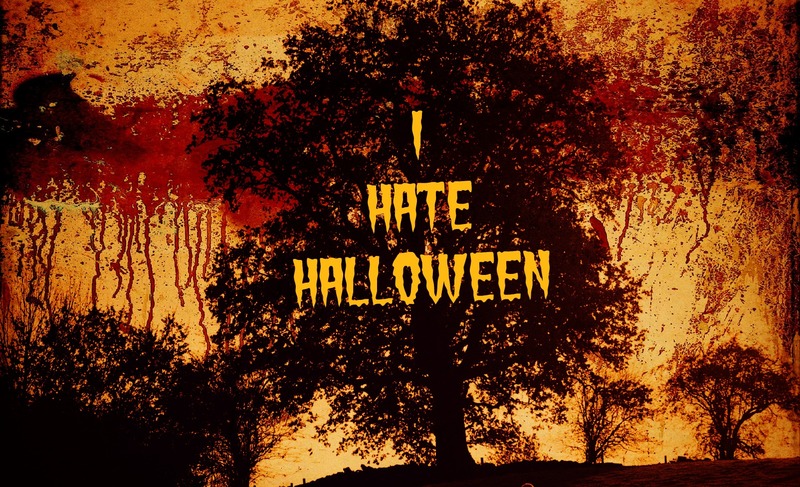 And all those television programs celebrating the 31 days of Halloween – particularly with scary movies and the like? Truthfully, I don’t get it. I just don’t get the point of needing to emphasize all this blood and gore and horror and negative aspects of death at a time when we actually should be honoring the turning of the wheel and the recognition of death as a vital aspect of the life force. I’m sorry to say “bah, humbug” to Halloween, but I just don’t care for the way one of the holiest days in the Pagan Wheel of the Year has been turned into a commercialized sugar-high bloodfest of titillating terror. Admittedly I don’t have children (not the humanoid variety, anyway)…and that makes it harder for me to identify with the appeal of Halloween, since I never had to dress the kids up and take them out to knock on doors. But even when my adult friends were inventing costumes and going out to parties, I was never a big fan of joining in on such festivities. Although I do recall one fun time when a local coven encouraged attendees to “dress up as your favorite deity” to attend a Samhain party/ritual. But overall, I prefer to keep to the true meaning of Samhain, and see it as a time for honoring the Ancestors (perhaps even more meaningful for me since both of my parents have passed over, with Dad dying shortly before Samhain)…for honoring the shift from light into dark…of dreaming the darkness and rebirthing ourselves…of welcoming in the beginning of winter and the time of the Dark Crone. Am I alone in feeling this way? Do any others have this same struggle with maintaining the sacredness of Samhain in the midst of the Halloween madness? How do you reconcile the two? Though I love Halloween, I can understand where you’re coming from. I’ve hears similar sentiments expressed about the winter holidays like Christmas. Much of it has gotten over-commercialized, and I do miss the days when it was just about having fun rather than all the STUFF. What I do is “split” the associations of this time of year and actually treat them as separate holidays. I come from a Catholic family, so Oct. 31st is the day of going nuts with the candy and the demons (and for me, watching movies like “Coraline” or “Nightmare before Christmas”). It’s a day where things turn upside down, kinda like Fat Tuesday the early Spring/late Winter. Halloween gets the initial rush out of everyone’s systems (or imo, it’s supposed to). Nov. 1st and 2nd, however, are the formal days of the dead (though I use both days for my ancestors rather than splitting between saints and souls), and the start (for me) of the Winter half of the year. I’m not Wiccan, so it’s not a New Year for me, but it is a transition period. In my UPG Nov. 1st is when the dead start becoming more active, growing until midwinter/Yule when their activity climaxes and arches over til around Feb, then starts dying down until Winter ends and Summer begins, often around Easter. Then that’s the end of the holidays and back to regular stuff with the growing season. this post could be written by me. I just close my curtains and turn off my lights. I agreed. I do not normally celebrate Halloween. However I love to carve pumpkins. My biggest frustration is that there’s no stencils on pumpkins that show our deaf culture such as ASL or whatever. So frustrating. I wanna crave a pumpkin. Any ideas?? Comment plz. One idea would be to google “sign language clipart” or “sign language artwork” or “deaf culture art” on Google Images and see if you can find some artwork that you like and is easy to use on a pumpkin for carving. Just be aware that you could be accused of stealing someone else’s artwork, so try to find something that is more “general” and common that you could use without such problems, such as the ILY sign that is used by many. Or simply try drawing your own design on paper, and then copy it to your pumpkin. Another thought is this… while I am a Deaf Pagan and my Deaf Culture is important to me, that is only one part of who I am. Not everything I do has to be about being Deaf. Carving pumpkins or turnips is about celebrating my Pagan self and honoring that aspect of myself…which is just as important to me as my Deaf self. I don’t feel the need to have to carve a sign language pumpkin, because when I carve pumpkins I am doing it to remember my ancestors, to remember the history of Paganism, etc. So I may choose to carve a face or some other picture, and not just another symbol of Deaf Culture.